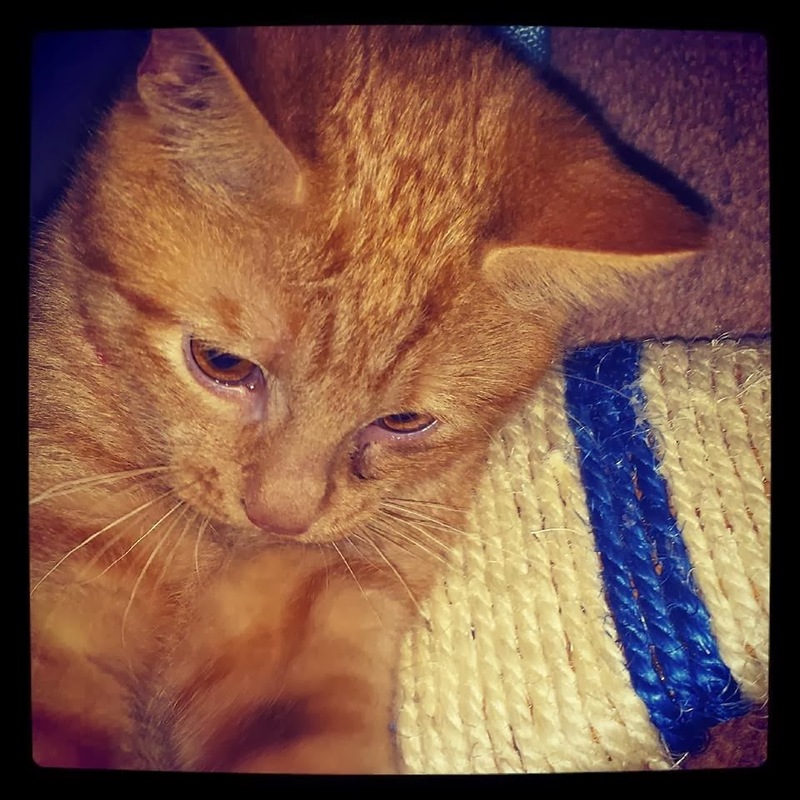 I totally forgot to introduce you to the new member of my family, his name is Tigger. Say Hello Tigger... we picked him up when he had just turned 4months old. Tigger was sort of rescued you could say, this young girl had him and another kitty but couldn't look after Tigger anymore as she was pregnant and he was a fiery little bundle of fun. The girl posted up an ad on pets4homes ( which I had been looking at for weeks to find the perfect kitty) and up his advert popped, within 3 minutes of it being posted up I had text the girl and booked to see him & collect. There are many kitties needing a new home and I knew as soon as the right one came along I would snap him up within minutes, and this is exactly what happened. I still have so many photos to take of him and will be taking them for the rest of his long loving life. 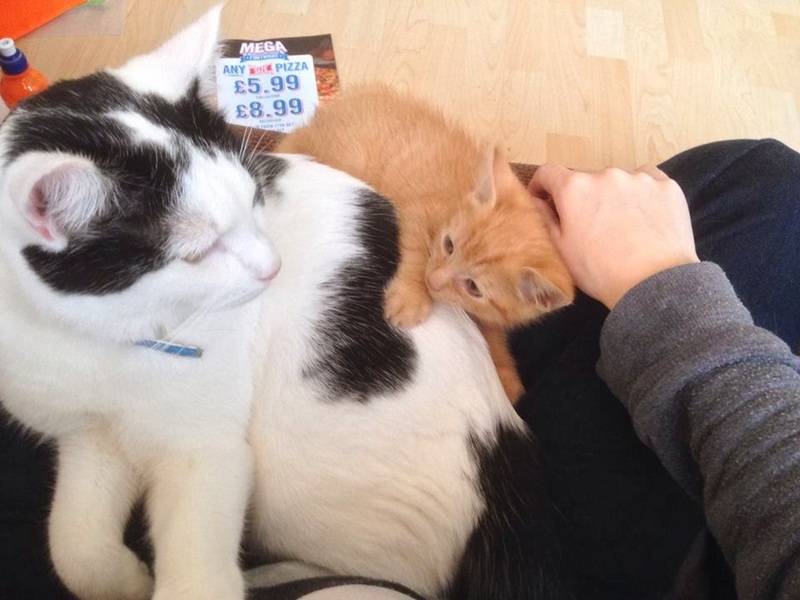 If you are a reader of my blog you will know that I already own 2 other cats who live with my parents, and the bf has 3 cats at his parents so we do have a lot of knowledge when it comes to kittens and looking after a cat. 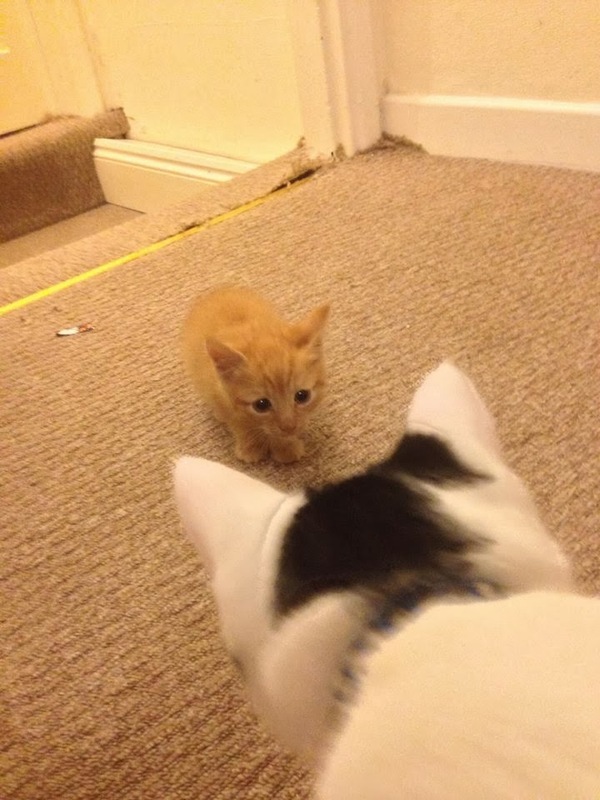 There are a few things to consider before getting a kitten, or even choosing your own kitten. Firstly, you will need a huge amount of supplies for kittens home before he even arrives, set it up, get use to it being there and have it ready for your kitty for when they arrive home. it's often advisible to have a 'safe room' for your kitty too for the first few days so he gets use to you and his new surroundings, when Tigger arrived we didn't do this, as we live in a flat, but we did keep the living room door shut for a day or two until he calmed down. so you will need, a litter box, a large one is good, as they do like to kick the litter EVERYWHERE. Some litter, I prefer wood pellets, I shall do a review on this soon. Food and water bowls, we have 3, 1 for wet food, dry and water/milk. always make sure there is fresh water about, Tigger tends to drink from taps and our water glasses but the option is still there for him. Toys - lots and lots and lots, I will also be doing a review on this shortly too. 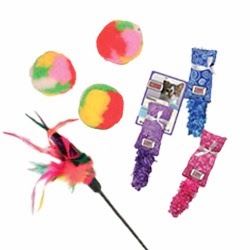 The best toys that I recommend for your kitty. A bed is always a good idea, although they probably will sit anywhere and everywhere, your bed, the chair, your lap, the computer keyboard, anywhere they fancy really, but make that option available for them if they want it. A nice little towl would also be useful, just for him to lie about on, or if you need to cover up your sofa from scratches. 1 of the most important things you will need, if your kitty is going to be living indoors for a long time, or forever, you will defitantly need at least one scratch post, depending how big your home is depends on how many you will need. If a cat has got to scratch it's paws it will no matter what is ruins, so the more scratch posts around the better. and last but not least, a carrier, how else will you get the little fella to his new home? Tigger is wearing a collar in these pictures, I am going to be doing a post on collars, the pro's / con's and which one is best for your kitty. I hope you enjoyed this post and it inspired you to adopt or rescue a kitten/cat to your family. I am looking to review some kitten/cat products soon, so please pop back to read these. If you are interested in sending me some samples for review please contact me using the form. He is stunning. Such a lovely boy. He looks a bit similar to our Mr.Ginger. 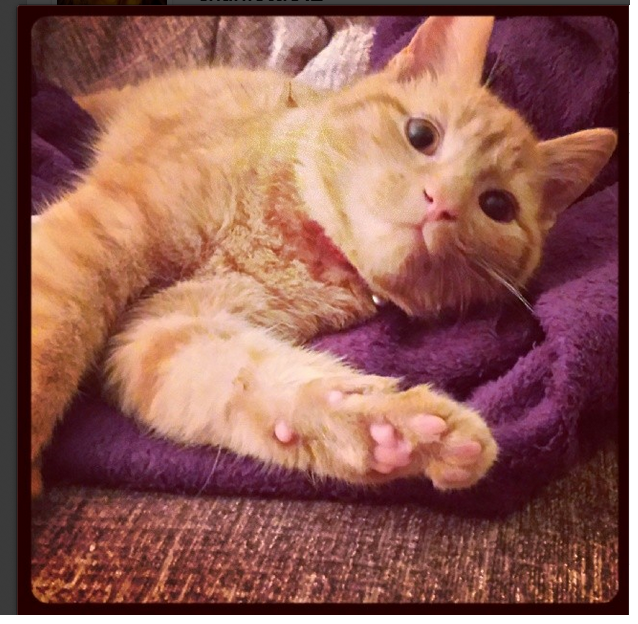 Lovely post Charlotte, love your kitties :-) Very informative too, I think you've covered some really important aspects of introducing cats to new homes. Aww he is gorgeous, I do love cats and wish I could have one but my Husky would go crazy if there was a cat in the house. Plus my bf is extremely allergic, he only has to look at a cat and his eyes go puffy and he sneezes.